High optical technology for excellent viewing: 82mm diameter objective lenses are fully multi-coated to enhance viewing, ensuring clear visual range and sharp images. 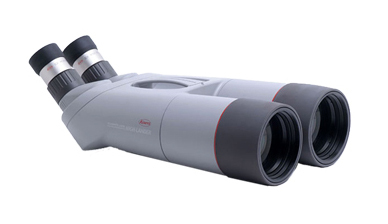 The eyepiece is designed to provide a wide field of view with ample angle and high eye point for easy and less tiring viewing. 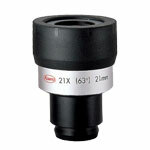 Optional interchangeable 50X and 21X eyepieces are also available. 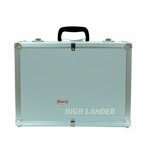 The ‘Highlander’ is not only for astronomy but fulfills the needs of observation and surveillance professionals. PROMINAR MODELS - Fluorite Crystal Lenses : Besides a normal ‘Achromat’ lens, we have prepared a ‘Prominar Apochromat’ model with fluorite crystal lenses available for those seeking higher optical performance. These fluorite lenses eliminate color blur (chromatic aberration) , improving resolution and contrast. 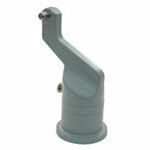 Waterproof Body with High Durability : The strong yet lightweight die-cast aluminum housing is extremely durable, with a rigid structure that can endure hard usage. The housing is waterproof and filled with dry nitrogen gas to prevent the lens from fogging. Eyepieces are set at a 45 degree angle, allowing for easy, long term observation. Set-up Mount: Allows for easier set-up. You only have to push in the eyepieces. Just pull them out for detachment. Focusing: IF(Individual Focus) system. Focus each ocular individually. Hood: Prevents unnecessary light and raindrops. 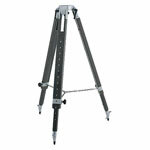 Dimensions: 16.9" x 9.4" x 5.9"